But to be serious for a moment: we love, love, love seeing all of you reading all across the world for this amazing event. It warms our little hearts. That said, there’s only three of us, and we can’t promise to see, comment, cheer on every post out there (despite our best efforts!). 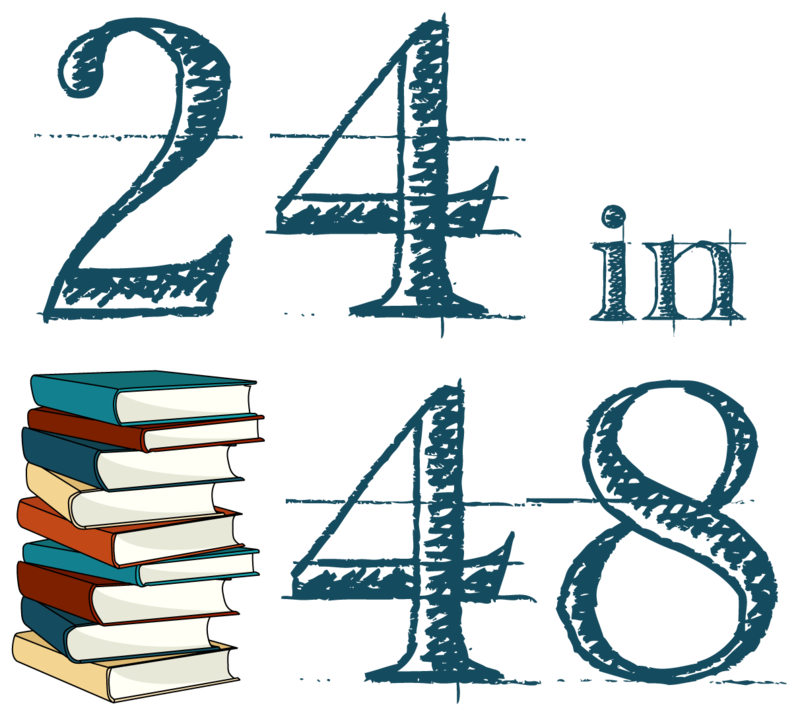 So if you have a few minutes today or tomorrow, or find yourself itching for a short book break, don’t forget to peruse the #24in48 hashtag on your social media platform of choice to cheer on other readers! Meanwhile, we’ll be over here pretending to read books but really refreshing all the ‘thon’s social channels to be sure not to miss a single update from all of you. But before you go, let’s pull some new door prize winners, shall we? If you see your name here (or on any of the other prize pulls in past hourly posts), hop over to the Prize Page to select your prize. And if you haven’t seen your name come up yet, keep on checking! We’ll keep drawing door and challenge prize winners across the rest of the weekend.